Do you love diving? Do you love taking stunning underwater photographs? Do you yearn to travel to the sea and tropical islands? 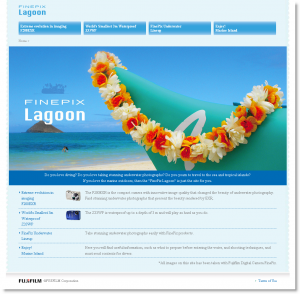 If you love the marine outdoors, then the “FinePix Lagoon” is just the site for you. This is annew site devoted to underwater photography. DNG format exists already since years. But which software does really support this file format. Preorder Scott Kelby’s Digital Photography Boxed Set Now! 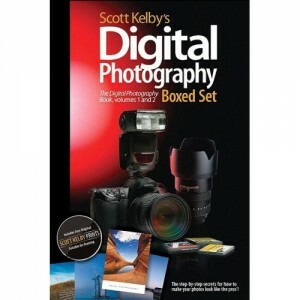 Scott Kelby’s Digital Photography Boxed Set, Volumes 1 and 2 (Includes The Digital Photography Book Volume 1 and The Digital Photography Book Volume 2) will be released on September 28, 2008. Canon has added a mysterious teaser to its US website. Here are 5 reasons to buy DSLR over Point and Shoot camera. While modern digital compact cameras give you great image quality and you can shoot great photographs with them, if you want to bring your photography to the absolutely new level you should consider buying DSLR. Wow! Its not often I get really excited about new software but…WOW! If you want a program to organize your photos, develop them, output print packages, create slideshows, and start your web presence with a great web-based photo show this is the software for you! Unlike Photoshop, which is created for powerful editing, Lightroom 2 is for developing your images. Lightroom 2 allows you high-precision control over the color, light, tonal ranges, and even vignetting of your images. And then it integrates with Photoshop in those cases where you need pixel-based editing (such as removing a power line). You can navigate through a synth by using the on-screen navigation that you see in the upper right hand corner of a synth, or by clicking on the arrows on the screen. But there are other keyboard shortcuts you can use to get through a synth that can give you a different perspective. 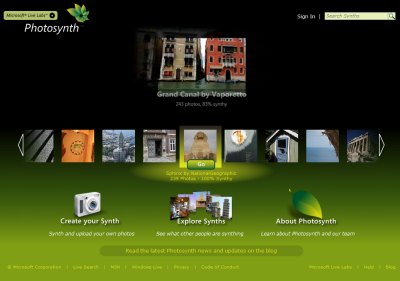 Following up announcement of Photosynth I want to publish a small tutorial. Creating the best synth starts with the right photos. This small tutorial will help you understand how to take photos that Photosynth can use to best advantage. Reading it could save you from taking a few hundred pictures only to find out later that Photosynth won‘t put them together the way you imagined. REDMOND, Wash., Aug. 20 – First there was the snapshot, and then came video. Now there is Microsoft Photosynth, a new service from Microsoft Live Labs that goes far beyond how you now view, experience and share photos.